It used to be that we went to a phone book to find the phone number we needed. But as we’ve become more and more reliant on technology, the phone book has fast become obsolete. And while many people use search engines today to find important phone numbers, it can be smart to simply have those numbers on hand. When disaster strikes, you’ll be prepared—instead of reactive. Here are some numbers you should store in your mobile phone in the event of an emergency. Local Emergency Personnel: Both your local fire department and police department have non-emergency numbers. This is the number you should dial when you want information about local police or fire community events. Or you can ask about proper burning instructions in your area. These numbers can provide you with ongoing non-emergency information and support—and they’re helpful to have saved in your phone. Water, Gas, and Electric Companies: Whether your pipes burst in the winter or you smell a gas leak, home maintenance emergencies can happen at any time. And the last thing you want to do when dealing with a crisis like this is look up the right person to call. So have these numbers stored in your phone. That way, you can make the call right away and have the professionals dispatched in a hurry. Doctors and Local Hospitals: Do you have a family physician? Make sure his or her office number is stored in your phone. Additionally, look into two to three hospitals near your home and add their information as well. Poison Control: Over 50% of poison emergencies involve a child under five years of age. So whether you have children or you simply watch a child from time to time, the poison control hotline is a good number to have on hand. Locksmiths and Tow Trucks: Whether you get locked out or you blow a tire while driving, you need a dependable service professional to help you. Rather than searching for one online, be sure a business you trust is stored in your phone as an emergency contact. If your car insurance provides roadside assistance, or you’ve heard great things about a local locksmith, do your research beforehand and put those numbers into your contacts list. Your Regular Veterinarian and A Local Emergency Vet: Do you have a furry friend in the family? Make sure you have your vet’s and emergency vet’s numbers listed in your phone. Because whether an emergency occurs at home or while the two of you are out and about on a weekend, having your vet’s number on hand will greatly help you to act quickly in the event of a pet emergency. Insurance and Restoration Services: Disaster can strike at any time. That’s why it’s important to have phone numbers for your insurance company on hand. Additionally, a restoration service like Paul Davis should be stored in your phone. 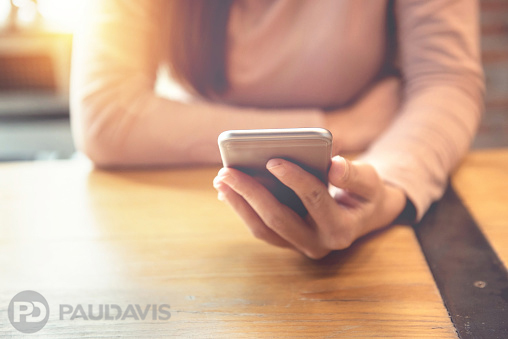 From water damage to fire or mould damage, the experts at Paul Davis can help you fast. All you have to do is call our emergency line at 800-661-5975. Emergencies happen to all of us, so it’s always better to be prepared. By keeping these important numbers stored in your phone contacts, you’ll help keep yourself and your family safer.